Another week has passed in the CGMA matte paint master class and I’m glad to show some more of the stuff that Anthony is speaking about. It is amazing how much you can miss and how much you learn from things that are really…in front of you! 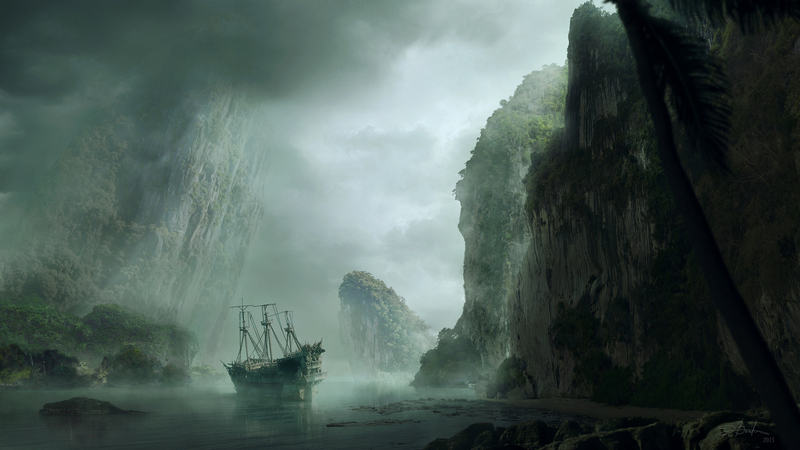 This next one is a moody, overcast kind of ship wreck. First time on this kind of landscape to be honest, so new stuff were everywhere. Glad to actually made something that i find it nice to look after 10-12 times to be honest! !